. Or . 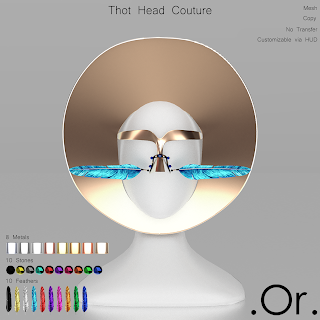 Thot Head Couture | . Or . 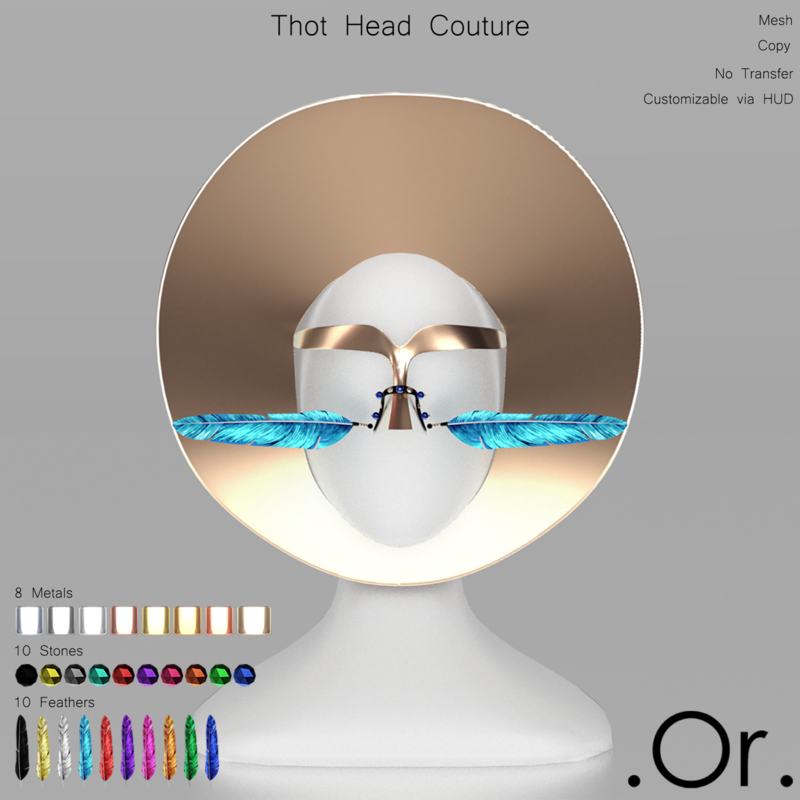 The Thot Head Couture is an original mesh creation by . Or . It is copy/no transfer and modifiable via the enclosed HUD. The gemstones have 10 different variations, the feathers aswell and there are 8 choices of metals. Resize is adjustable with optional axis option.